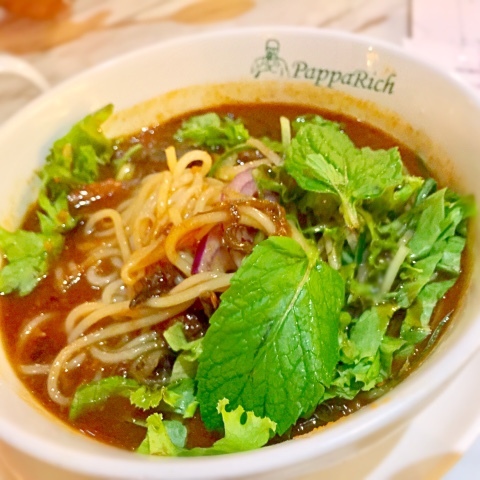 PapaRich - awesome Assam Laksa and Nasi Lemak with Beef Rendang! 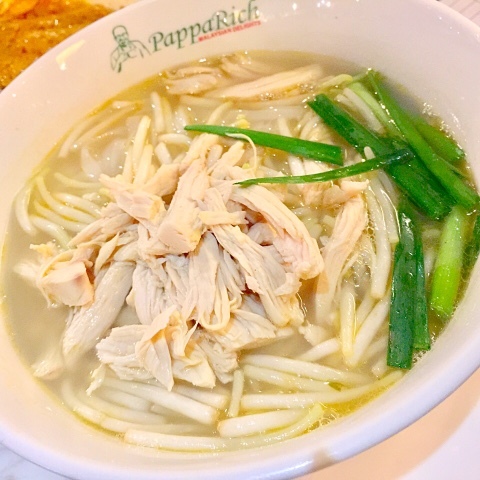 PapaRich is a Halal certified restaurant selling Malaysian delights such as Assam Penang Laksa and Penang Cha Kway Teow. 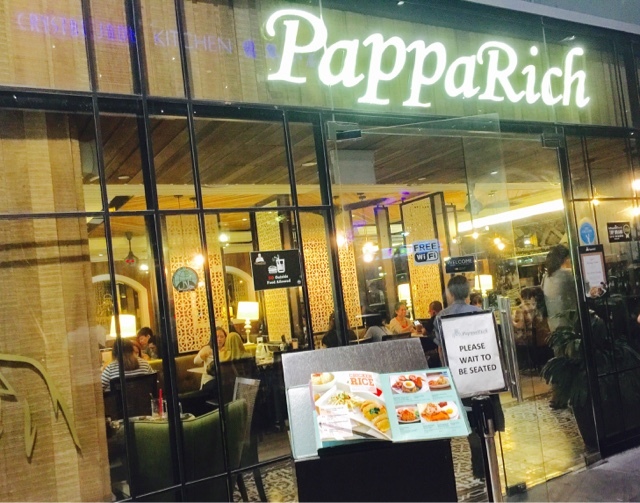 Because it charges restaurant prices for hawker fares, some may joke that PapaRich is a place to dine only if your Papa is Rich haha. 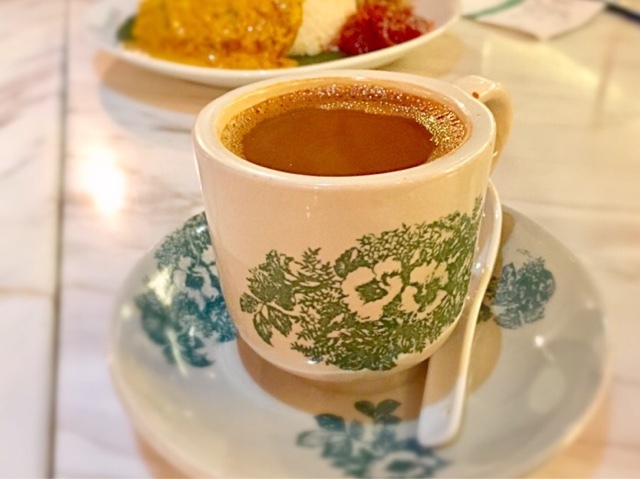 My sister was the one who introduced me to PapaRich because we both love to dine in a comfy environment sipping our kopi and teh while tucking into delicious hot mains. Papa Assam Laksa is a Must Try because of its aromatic fish-based tamarind broth, served with pineapple slices and topped with mint leaves. It is definitely better than Old Town White Coffee's Assam Laksa. When I eat KFC, I love to eat the unhealthy chicken skin. 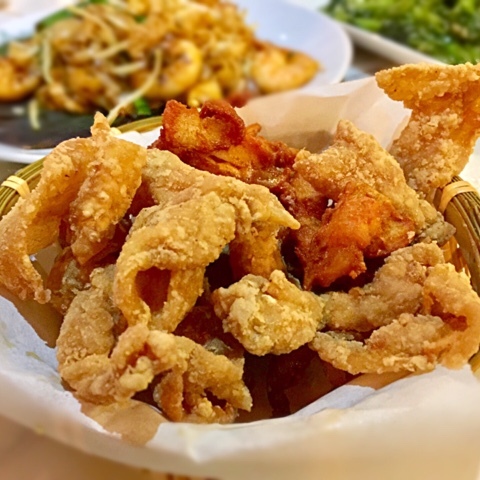 I was so amused that there are restaurants serving deep fried chicken skin! 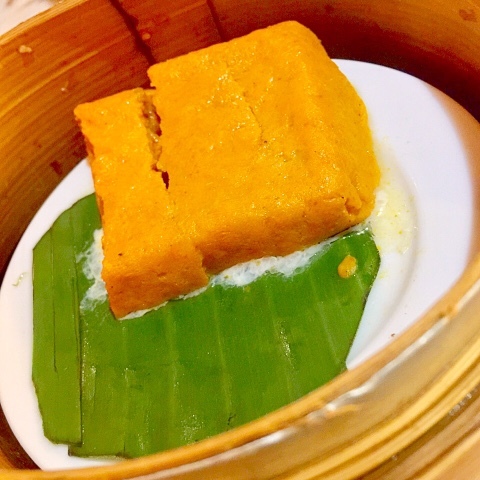 I first tried it at PapaRich, introduced to me by my sister! PapaRich's version was crispy and not dripping with oil! Delicious! As for the soft bone, it is a flop unless it has some special health benefits that I am not aware of. 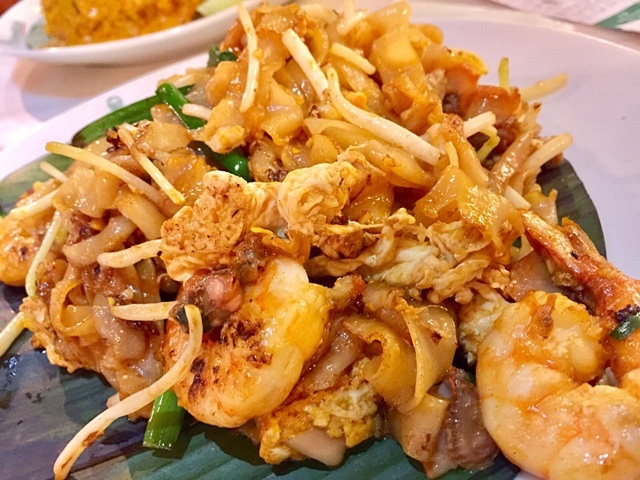 The Papa Char Kway Teow was a huge let down because I have very high expectations of Penang Char Kway Teow! It must smell and taste great with bits of eggs. This Char Kway Teow did not remind me of Penang CKT. It lacked flavours. I suggest you can skip this dish unless it was a one-off flop. 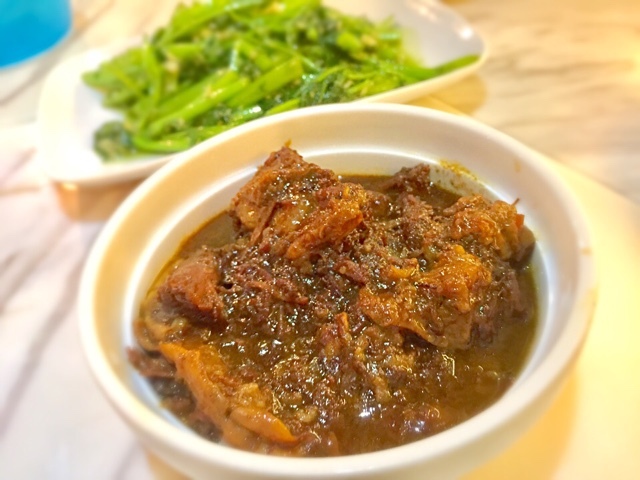 The braised beef is a Must Try because of its flavours that are beyond description. 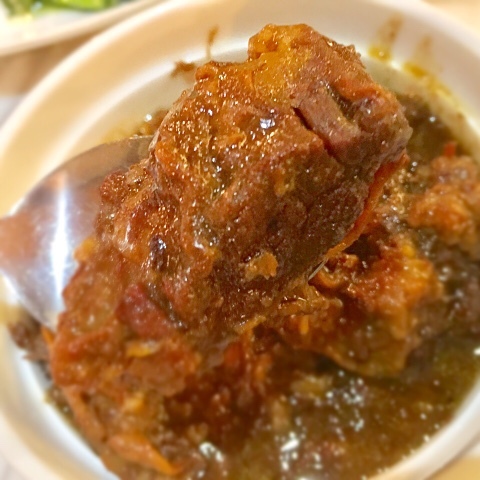 The beef had been braised and broken down into tender parts. The gravy tasted great with plain rice or coconut rice. The Otak Otak sounded very promising but it was a let down because it was way too mushy for me. I was not certain if it was supposed to be mushy or it was undercooked. The flavours were fantastic. 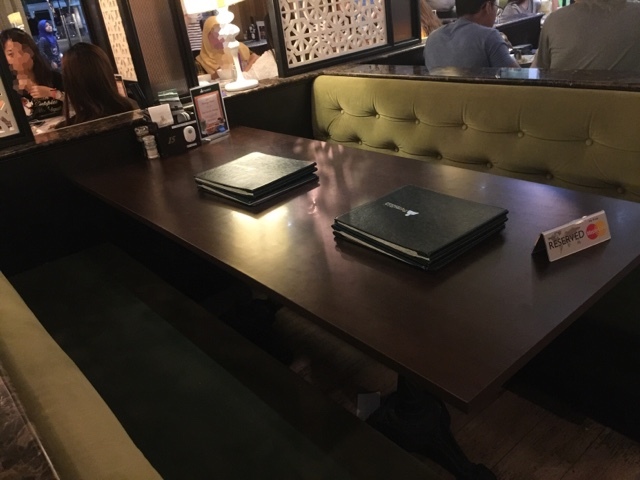 I wished they would serve the usual Otah with the usual texture. The Ipoh Kway Teow Soup base was flavourful. The only drawback was the lack of generous ingredients in the dish. 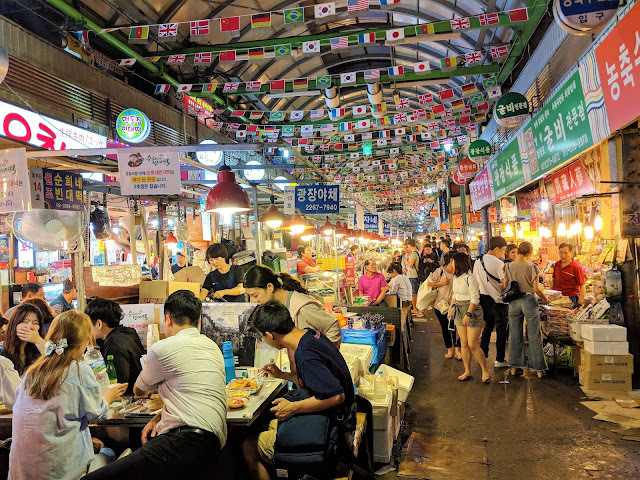 It would be great to see prawns and vegetables as well. I enjoyed the Nasi Lemak with curry chicken very much. The egg was runny too. The chill was great. I love to eat tender chicken meat. Some of you might prefer a tougher version especially the breast meat lovers. The curry was sedup. Does it match up to Mdm Kwan's version? Almost. 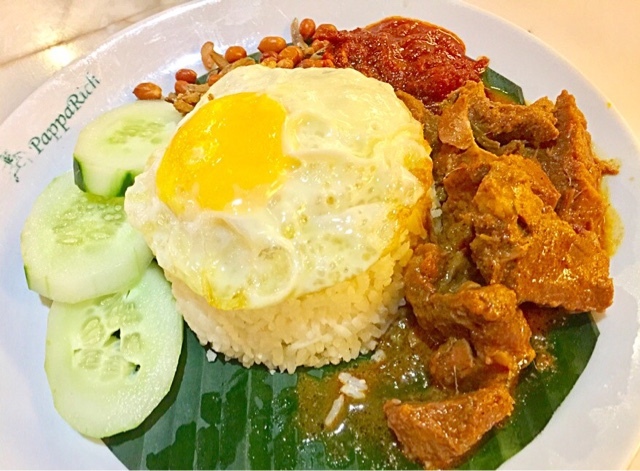 Nasi Lemak with Beef Rendang - Must Try! I would definitely order Nasi Lemak with Beef Rendang again! The beef was very well done. The gravy was delicious and went extremely well with the Nasi Lemak. 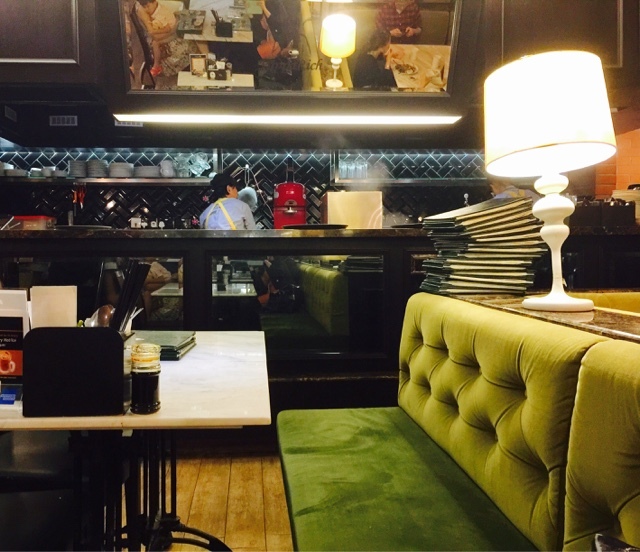 What I like about PapaRich is also its lovely ambience and the variety of drinks available for diners to just chill and catch up with their friends. 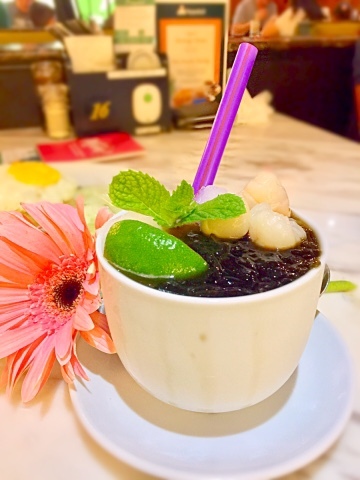 I find it very difficult to find nice looking restaurants that serve traditional kopitiam coffee. Most of the lovely cafes serve "western" coffees such as lattes. PapaRich also has a variety of local desserts for diners to enjoy. The prices for mains range from around $10 to $15. 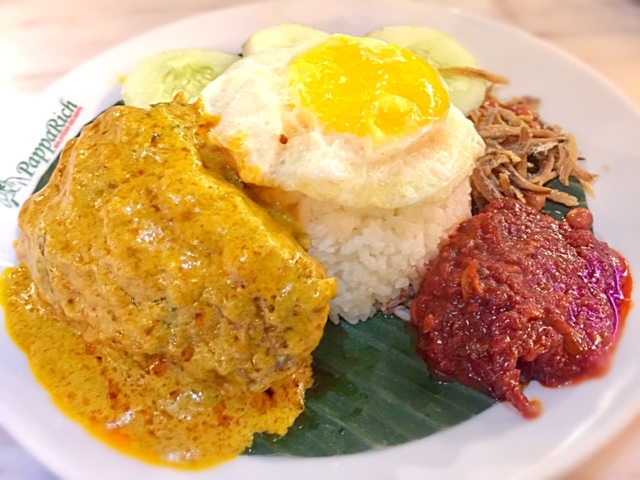 Check out their online menu for the other Malaysian dishes!